Discover the New stylish Nissan Pulsar, available at Charles Hurst Belfast. Contact us today to arrange a test drive. Nissan well known for their innovative designs are proud to bring you their latest offering to the family car market – the all new stylish 5-door hatchback Nissan Pulsar. The exciting new C-segment car is full of thrilling new technologies to make driving enjoyable and safe. Visit us today at Charles Hurst Nissan in Belfast, Northern Ireland to find out more about the Nissan Pulsar or to arrange a test drive. The New Nissan Pulsar has been designed to combine the three qualities that define Nissan – striking, spacious and well-equipped. The Pulsar is recognisable from its famous Nissan badge which is framed by a bold V-shaped grille and bumper arrangement similar to the Qashqai. The powerful, athletic feel created by the lines at the front and sides, continues through to the rear with a neat diffuser-style lower bumper element. Inside the interior layout uses high quality material and innovative design to give a refined look. Completing the Pulsar's interior is a spacious boot that has a 385 litres load capacity, which can be made larger when required by folding the rear seats to give 1,395 of load space. Japanese manufactures Nissan understand the growing needs of drivers today and that's why they have a range of new innovative technologies to make the Pulsar an enthralling and comfortable drive. At the heart of the new Pulsar's technology package is Nissan's acclaimed Around View Monitor which provides the platform for a number of the Pulsar's safety, visibility and convenience features you would normally expect to find in the luxury car segment. The Nissan Safety Shield has a wide range of safety features including Moving Object Detector allows you to view on the camera what is approaching you from behind, and give the driver an audio/visual alert when something is approaching the rear. Blind Spot Warning which uses a an around view monitor camera to detect vehicles in the blind spot area, and Lane Departure Warning that tells you when the car is drifting out of lane. A self-cleaning camera located in the tailgate means you won't have to worry about the safety features being compromised. The Pulsar also features Nissan's second-generation NissanConnect system - that comes with a range of state-of-the-art features including full smartphone integration, Google® Send-to-Car and access to a wide variety of useful and informative apps. In keeping with the style of recent Nissan additions such as the award winning Qashaqi and X-Trail the Pulsar has LED headlamps which use 50% less power than conventional lights and produce a strong white light for more safety. 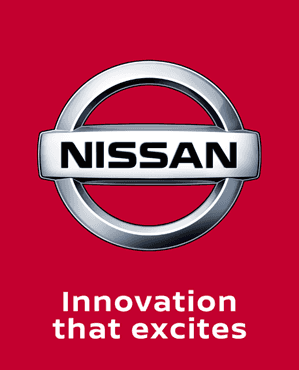 In preserving Nissan's approach to innovation and low running costs, the Pulsar features a range of high performance low emission petrol and diesel engines. The 1.2-litre DIG-T petrol unit is a highly advanced engine punches with an output of 115PS, while the 1.5-litre dCi generates 110PS and 260Nm of torque. Both engines are fitted with Idle Stop-Start as standard, helping to reduce CO2 emissions and boost fuel efficiency. An even more powerful 190PS 1.6-litre turbocharged petrol engine will join the range early in 2015. A six speed manual gearbox is fitted as standard. As Nissan continue to be world leaders in raising the standards of new car designs they understand that not everyone has the same needs and that's why the Pulsar will be available in a range of models and specifications. The Pulsar will be available in four familiar grades – Visia, Acenta, n-tec and Tekna - giving buyers the ability to easily choose a model that best suits their lifestyle and their budget. The stand out Nissan Pulsar is now available at Charles Hurst in Boucher Road, Belfast, Northern Ireland. To find out more contact a member of the Charles Hurst Team through Live Chat, over the phone or visit our showroom where our staff will be happy to help.